TS EAMCET 2015 Online Application Form, Apply for Telangana EAMCET 2015 and Pay TS EAMCET 2015 Fee Online. The Candidates who wish to apply for EAMCET-2015 are requested to fill the particulars carefully in the TELANGANA EAMCET 2015 ONLINE APPLICATION FORM. The required information should be collected from the relevant documents. The Candidates are requested to check the filled in particulars before pressing SUBMIT button during online application process. After submission of ONLINE APPLICATION FORM, if any corrections are to be incorporated, candidate has to contact the office of CONVENER, EAMCET-2015 or any nearest REGIONAL CENTRE with the documentary proof. Data will be changed only if documentary evidence is satisfactory. Hence, candidates are requested to fill the TS EAMCET 2015 Online Application Form carefully. During the ONLINE submission of EAMCET 2015 Application form, the candidate is hereby informed to select the required REGIONAL CENTRE / ZONE (in case of HYDERABAD) of his choice and once chosen, request for change of Regional Centre / HYDERABAD ZONE will not be entertained later. The Convener reserves the right to add or delete some Test Centres from the list of Regional Centres notified. The Convener reserves the right to allot the candidates to any Regional Centre other than that opted by the candidates. Candidate has to submit not more than one application either for ‘E’ or ‘AM’ or ‘E&AM’ category test. If any candidate submits more than one application for one category, the Convener reserves the right to reject all the applications or accept any one of them only. Payment of Registration Fee for submission of Online Application Form is the first step and the Registration Fee is Rs.250/- which has to be paid through the following modes. a) TSOnline / APOnline/ e-Seva / Mee Seva b) Credit Card / Debit Card. MEDIUM OF ENTRANCE TEST: The question paper contains questions in “English” and “Telugu” medium. Candidates, who have studied the qualifying examination in Urdu mediumand wish to avail assistance for translating the questions into Urdu, will be allotted a Test Centre at Hyderabad only. Same Centre for candidates appearing for both Engineering and Agriculture and Medical. Candidates of E – Category who are eligible and desirous of taking the test in AM - Category, in addition to the test for E - Category should select the option Both (E & AM Category) together, during the submission of the Online Application Form, so that same Test Centre can be allotted to them for both the tests. If this instruction is not followed, the candidate may be allotted different Test Centres for E & AM category tests and Convener, EAMCET-2015 is not responsible for the allotment of different centres. Note: The above certificates are to be submitted during the counseling for admission. For Online submission, visit the website www.tseamcet.in. A candidate has to pay Rs.250/- as Registration Fee and late fee (if applicable) by opting any of the following two modes of payment: (a) TSOnline / APOnline / e-Seva / Mee Seva. (b) Debit / Credit Card. After filling the Online Application Form with the required details, the candidate is required to verify all the details carefully and press Submit button. Filled In Online Application Form will be generated which contains Registration Number along with filled in details. The candidate is required to take printout of Filled In Online ApplicationForm and it is to be submitted to the Invigilator during the examination after affixing a recent color photograph duly attested by the Gazetted Officer or Principal of the College where studied qualifying examination. The candidate should use the Registration Number for future correspondence. THE CANDIDATE WILL NOT BE ALLOWED TO TAKE THE EXAM EVEN IF LATE BY 1 MINUTE. The candidate has to use Blue / Black Ball Point Pen only to darken the appropriate circle in OMR Answer Sheet during the EAMCET-2015 exam. Answers marked with PENCIL would not be evaluated. Hence, candidates are required to bring a good Blue / Black Ball Point Pen. For items 5(a) and 5(b), please don’t paste Photograph and Signature on another paper and scan. Instead scan the photograph and Signature as separate files. The candidate has to submit the “FILLED IN ONLINE APPLICATION FORM” to the Invigilator in the Examination Hall on the day of the EAMCET-2015 exam. Also, affix a recent color photograph (3.5cms x 3.5cms) in the box provided (Bottom – Left side) on the “FILLED IN ONLINE APPLICATION FORM and get it attested by a Gazetted Officer / Principal of the college where studied. The candidate belonging to SC / ST category has to submit the attested photocopy of the “CASTE CERTIFICATE” along with the “FILLED IN ONLINE APPLICATION FORM” to the Invigilator on the day of the EAMCET-2015 exam in the Examination Hall, in case, the Application number of his/her Caste Certificate is not provided at the time of the Online submission of the Application. Candidate has to select ONLY ONE HELP LINE CENTRE (HLC) of his/her choice for Certificate Verification and Option Entry at the time of counseling after declaration of EAMCET 2015 results for admission into professional courses. Refer Instruction Booklet for details of HELP LINE CENTERS. 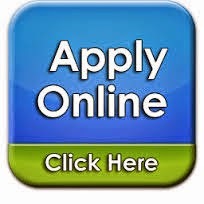 Click Below Link to apply for TS EAMCET 2015 using Online Application.